SOFIA (Reuters) – Bulgaria plans to stop allowing wealthy foreigners to buy citizenship against investment, the justice ministry said on Tuesday, saying the scheme had failed to bring any significant economic benefits for the European Union country. The legal changes come a day after Reuters reported that the EU’s executive will warn that such schemes could help foreign organized crime groups infiltrate the 28-member bloc and increase the risk of money laundering, corruption and tax evasion. Bulgaria is one of three EU countries, along with Cyprus and Malta, that currently grant citizenship against investment. Twenty member states, including these three, also sell resident permits. 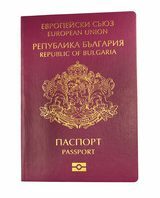 In Bulgaria, foreigners can obtain a passport, which opens the door to most EU countries, for investments ranging from 1 million levs ($580,922) to 2 million levs. The investments can also be made into government bonds. “The data shows that the aim to increase real foreign investment and economic development has not been achieved. As a result new jobs have not been created or economic growth been boosted,” the ministry said in a statement. “In some cases it has been established that at a later stage the investment did not actually materialize due to the sale of the purchased treasury papers or other reasons,” it added. The Justice Ministry said only 50 foreigners – from Russia, Egypt, Israel and Pakistan – had been sold a passport against investment since 2013.